The Australian literary scene has produced several male writers who have achieved note internationally. Patrick White, Peter Carey, Tim Winton, David Malouf, Murray Ball and Peter Temple are all widely reviewed, occasionally read and generally well admired in the Northern Hemisphere. Among women writers, however, only Colleen McCullough is truly well known outside of Australia. That’s a shame because there are several other female Australian writers of note who should be much better known outside their home country. Three in particular are world-class writers. Each has gained a measure of critical respect internationally but remains virtually unknown to readers. Kate Grenville came to the publishing world’s attention with her fourth novel, The Idea of Perfection, in 1999. It won the Orange Award (now the Baileys Women’s Prize for Fiction) in 2000. But her best work, and one that everyone should read, is The Secret River, published in 2006. Based on the story of her great-great-great-grandfather, who was sentenced to the penal colony in New South Wales in 1806, it tells the story of the early settlement of Australia by British convicts. The Secret River won the Commonwealth Prize, the New South Wales Premier’s Literary Award, and the NSW Premier’s Community Relations Prize. It was also short-listed for the UK’s Man Booker Prize. 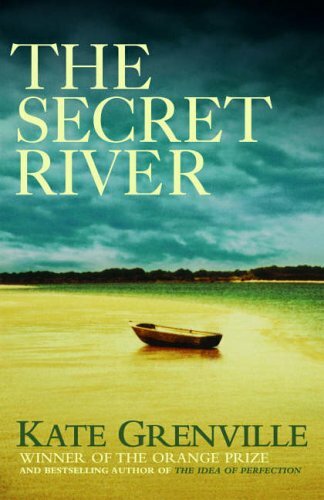 If you are going to read only one book about Australia’s history and its effect on the nation’s culture, it should be The Secret River. By following British convict William Thornhill (based on her ancestor, Solomon Wiseman) as he struggles to adapt to life in what feels like another world, Grenville is able to examine the fraught history of relations between the colonists and the Aborigines who have inhabited the Australian continent for over 40,000 years. Suffice to say, their first contact is not a mutually respectful and beneficial encounter. Grenville’s writing brilliantly captures Australia as a place; its presence looms over the novel. You will breathe the red dust, watch the blinding southern sun’s reflection on the Hawkesbury River, and smell the menthol scent of the eucalyptus (gum) trees. Grenville followed The Secret River with The Lieutenant (2008), which details the tentative and developing friendship between an officer of the First Fleet and an Aborigine girl of exceptional intelligence. In Sarah Thornhill (2011), Grenville completed this loose “early Australia” trilogy by returning to the family at the center of The Secret River, taking the subject of white-black relations to its logical conclusion. I recommend all three novels, but only The Secret River is required reading. Another writer worth knowing is Joan London (not to be confused with former Good Morning America co-host Joan Lunden). London grew up in Western Australia, which features prominently in her writing. Her first book, the story collection Sister Ships, won The Melbourne Age Book of the Year award in 1986. Her second collection of stories, Letter to Constantine, won the Steele Rudd Award and the West Australian Premier’s Award for Fiction in 1994. 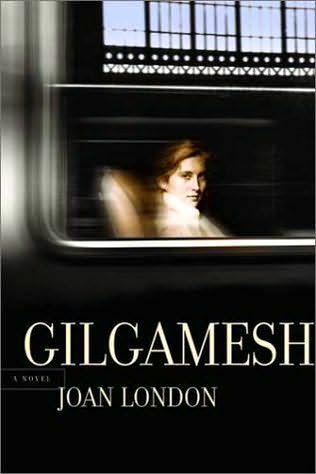 London’s best work is her first novel, Gilgamesh, published in 2001. It was shortlisted for the Miles Franklin Literary Award and won The Age Book of the Year award for fiction. Gilgamesh was also shortlisted for both the Western Australian Premier’s Book Award and the New South Wales Premier’s Literary Award. Internationally, it was long-listed for the Orange Prize and the International IMPAC Dublin Literary Award. Set in the years preceding World War II, Gilgamesh follows Edith, a 17-year-old who lives with her unstable mother and difficult sister in rural Western Australia. The story is set in motion when her London-based brother Leopold and his Armenian friend Aram visit her after working on an archaeological dig in Iraq. Edith and Aram experience a powerful chemistry. Two years later, having given birth to Aram’s son and saved money from her job at a seaside hotel, Edith boards a ship intending to go to Armenia to find Aram. She is befriended by an Armenian businessman who helps sneak her into the country and for whom she then works as a caretaker. She begins to build a life in Yerevan, but the war presses down upon everyone and she is forced to flee across the border into Iraq to meet Leopold, who drives her to Syria, where she waits out the war. Edith — now profoundly changed by her difficult experiences — and her son Jim make their way back to Australia, where a new set of difficulties at work, school, and home await them. The narrative shifts its emphasis to Jim’s coming of age, culminating in an important letter from overseas. Like the wandering King Gilgamesh, Edith’s journey takes her to many places and introduces her to a range of people, each of whom is searching for his place and purpose. London’s prose is both spare and lyrical, with a hypnotic and haunting effect. London’s second novel, The Good Parents, was published in April 2008 and won the 2009 Christina Stead Prize for fiction in the NSW Premier’s Literary awards. London’s third novel, The Golden Age, was published in Australia in January 2014. 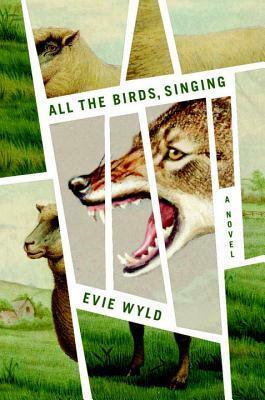 Evie Wyld is a relative newcomer on the Australian and international literary scene. Her second novel, All the Birds, Singing, was published last year to acclaim in Australia and the UK (where she was named a Granta Best of Young British Novelists in 2008), and has just been released in the U.S.
Wyld is a powerful prose stylist whose approach is perfectly suited to the story of Jake Whyte, a young Australian woman living with her dog and a flock of sheep on an isolated English island. When her sheep are killed one by one, mysterious events occur and strangers appear, Jake is forced to confront her past, which she thought she had securely left behind halfway around the world in Australia. Wyld is a master of mood, using a methodical pace and distinctive diction and syntax to create an often ominous or foreboding atmosphere that makes her novels feel like very artsy and literary mysteries. Fans of Wuthering Heights, Jane Eyre and Daphne du Maurier’s Rebecca should find Evie Wyld’s books to be just what the doctor ordered.